This past month was CRAZY busy, and it doesn’t look like it is going to let up anytime soon! Youth group get togethers at our house, my son’s 14th birthday party sleepover (re-scheduled due to him being sick) a father-son retreat (cancelled due to lack of sign-ups), Halloween, World Series, meetings, my son getting baptized, paintball party, a marriage conference and our 15th anniversary, there doesn’t look to be much downtime in the near future. Okay, so these might not exactly appeal to a wide audience of people, but I think I just found the manly version of scrap-booking. 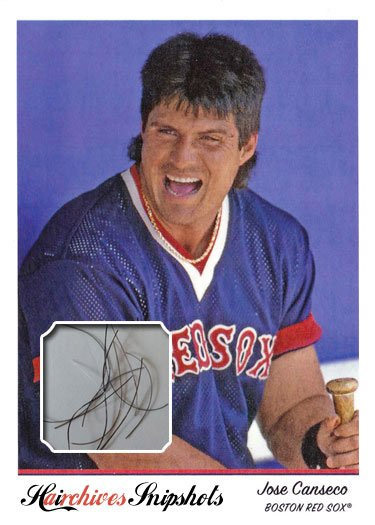 Which reminds me, a couple of weeks ago, Canseco got a hair transplant. They had to shave his head, and he tweeted a “hairku”. Never underestimate the man’s ability to be entertaining on twitter! I’m still waiting for the hair to arrive in the mail – maybe it got lost? #kidding #creepy #butwouldntthatbefun? 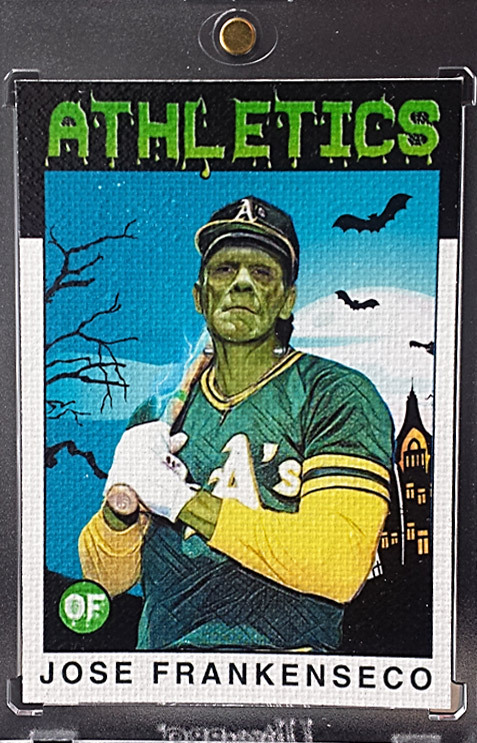 I also did this custom for Halloween which I am probably more proud of than I should be. 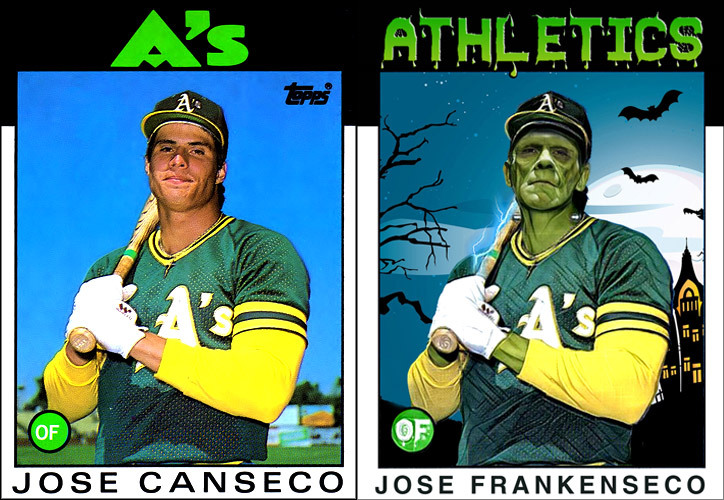 I call this creation: JOSE FRANKENSECO. Yeah, I kinda blew it with the name at first, by calling it Jose Canfrankenstein. 3 people suggested something similar to Frankenseco, so I did that instead. I also made some adjustments to it since yesterday. Such a goofy card, but I love it! So yeah – a lot has happened, but perhaps the biggest thing for me was this. My name is Jason Bristol, the new sports anchor at KHOU 11 in Houston. 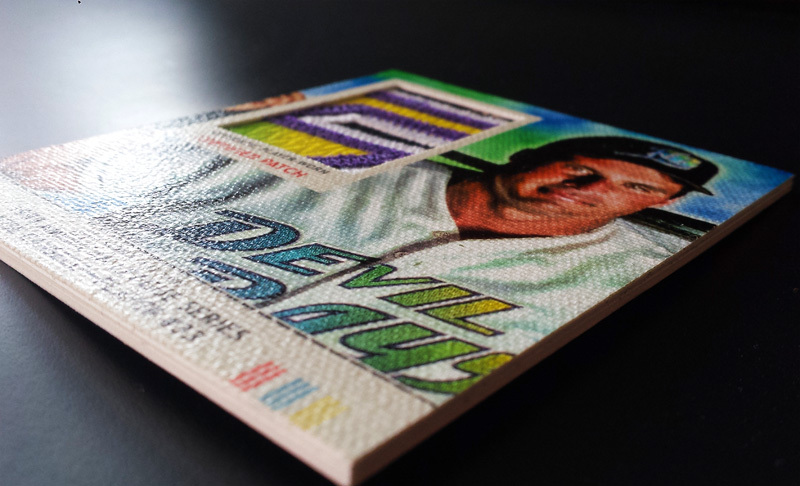 Stumbled upon your website and how you create baseball cards. Could I get your number so we can chat? I think it may make for a neat story. I was really curious about this, so I gave him my number, and we chatted for a bit. 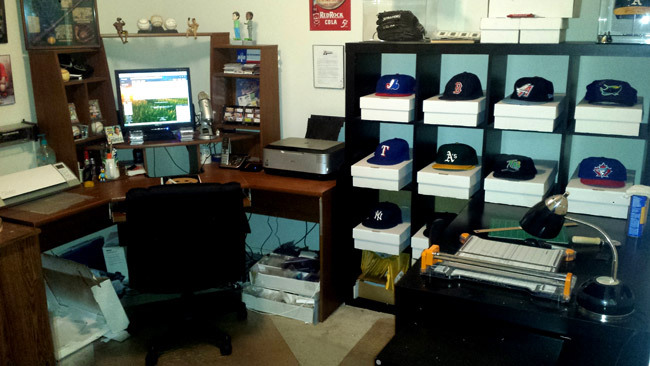 Jason mentioned he wanted to do a story on how I create custom baseball cards for my collection, and thought it would be a neat television spot as his first story here in Houston. Am I really gonna post a pic of this mess in public online? Yeah …. I’ll have you know that I’m keeping my office pristine…ish nowadays. It is funny, because I asked in the chat room of our clash of clans group (many of whom are friends we have from Pennsylvania) if they knew who Jason was, and they said yes. I got a kick out of telling them he was going to be coming over to our house the next day. 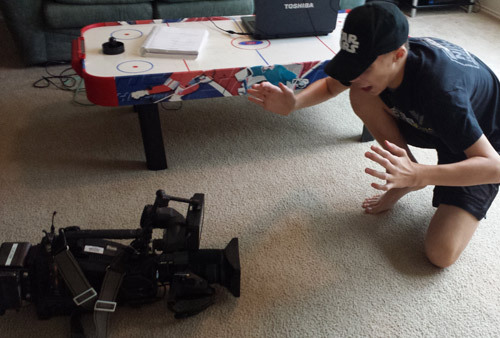 Mike mentioned the camera is worth $60,000.00 …. crazy huh? My son thought so too. Before we got started, I showed Jason some of my work, and handed him a card that I thought he may be particularly interested in. He showed it to Mike as well. The card? A custom of himself! He loved it 🙂 I made one for each of us. 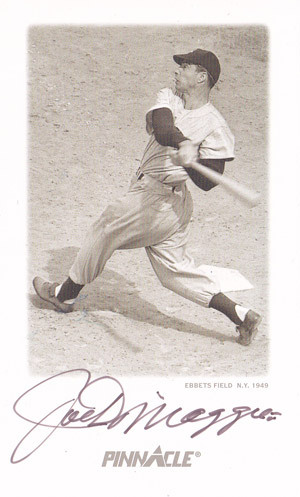 Below is my copy which was something I had him sign for me. 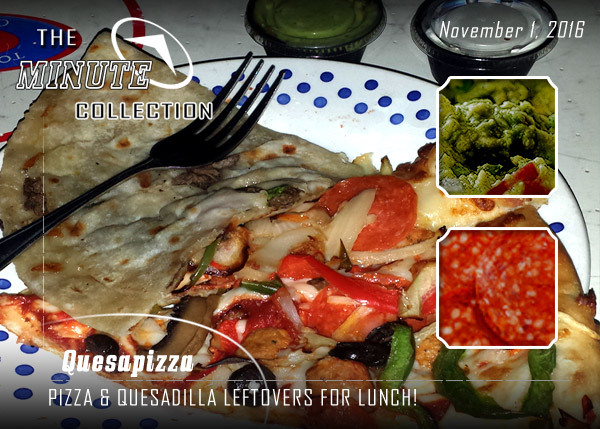 My wife is great – she took a ton of pics. 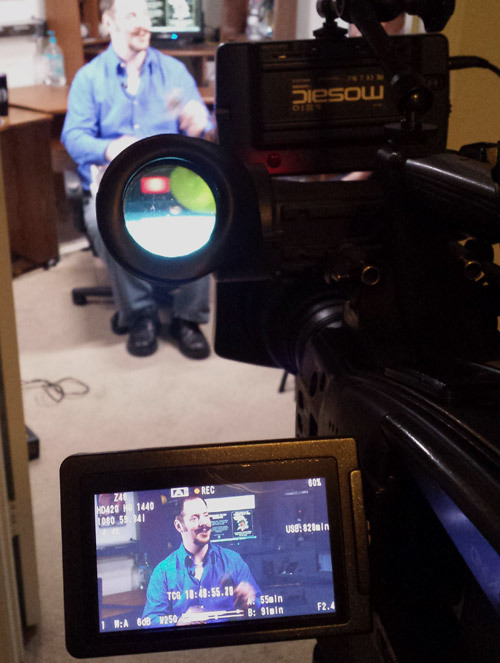 Here is a fun artsy one with me in the viewfinder screen thingy. 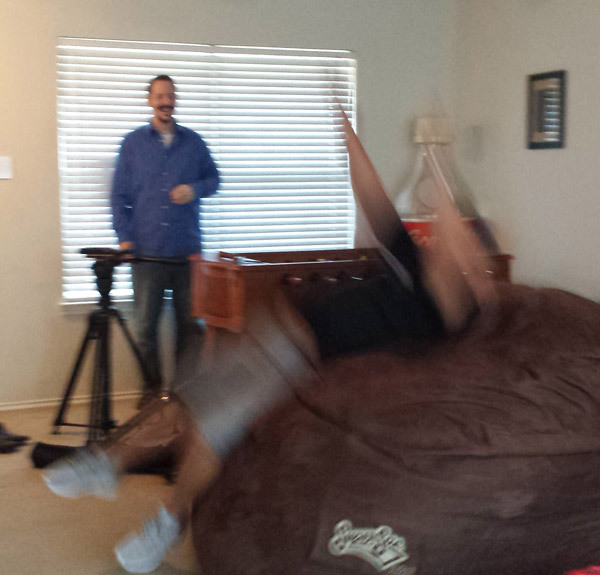 When wrapping up, we had one last thing to do. Make Jason & Mike jump. 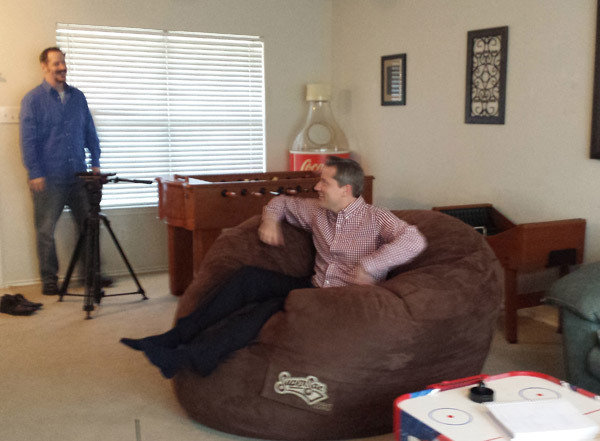 We have a super-sac (a HUGE bean bag chair in our living room). All of the boys that come over for youth group jump/dive/belly-flop onto it, so we told them they had to do it also before they left – they agreed that it must be done. 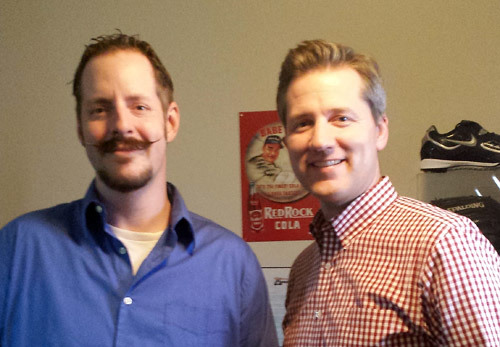 I’m not sure when the piece will air, but I’m glad to have a new friend here in Houston! Since then, I’ve had a ton of ideas for customs running through my mind. 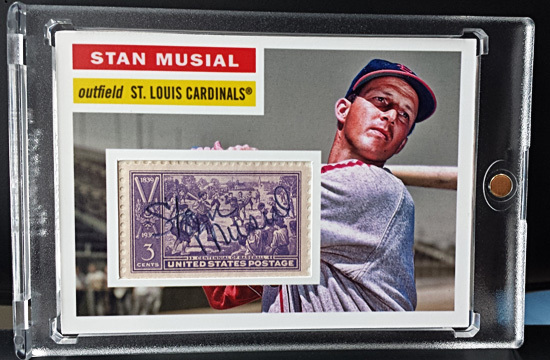 The first one was a Stan Musial. 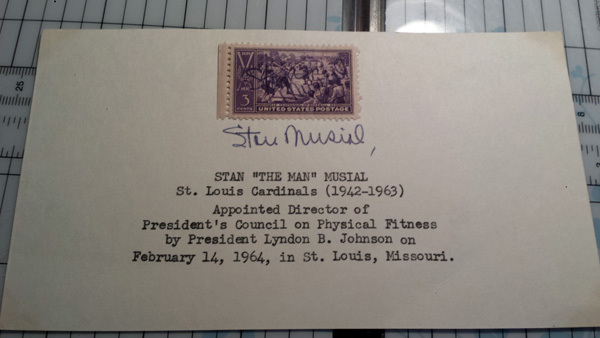 Someone sent me a 1939 stamp signed by Stan the Man. 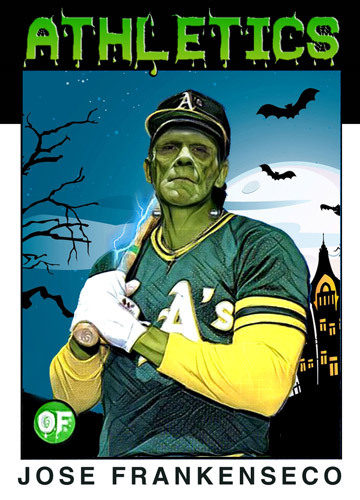 I struggled a bit as to how I should attack it, but ultimately settled on a 1956 Topps style design. Here it is laid over the stamp piece. 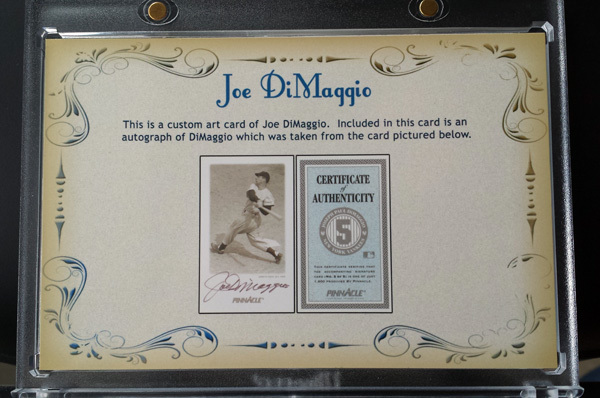 The next one was of a Joe DiMaggio. 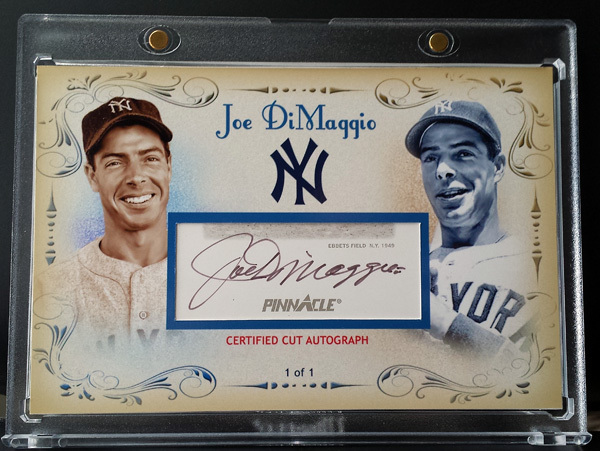 I utilized a Pinnacle autographed card of his. 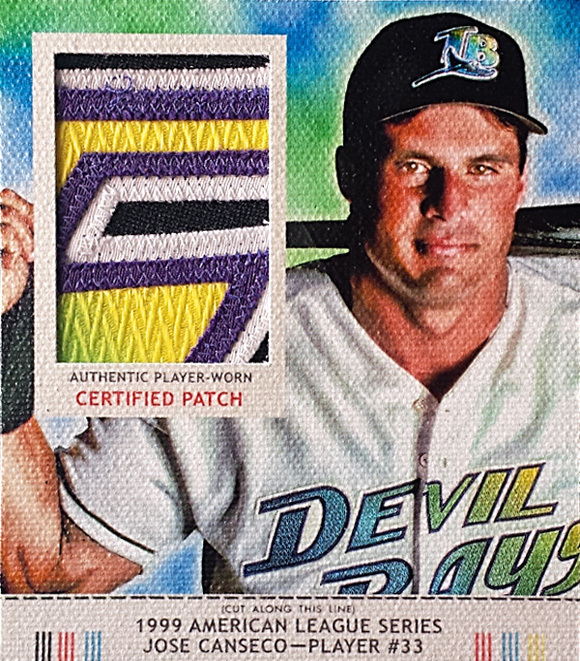 The pinnacle card is about the same size as a 1989 bowman card. I built an oversized card to display the cut signature nicely. The back serves as a COA of sorts, as it shows the Pinnacle card. 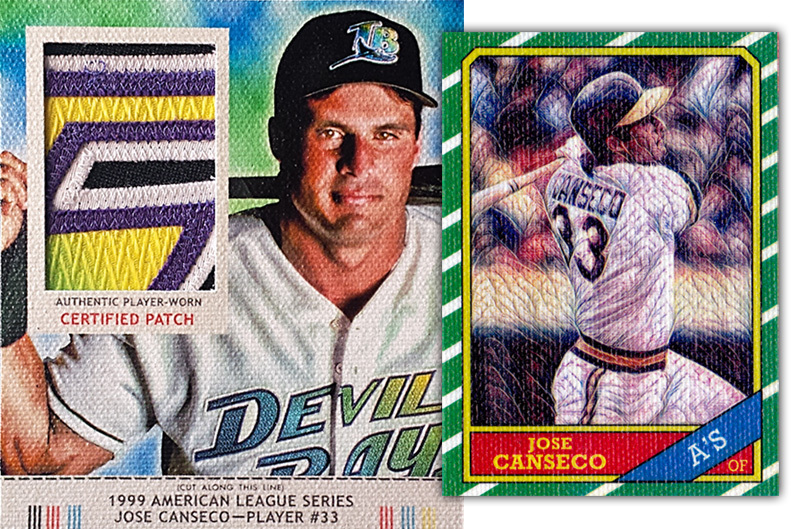 I love how the Musial and DiMaggio came out, but if you know me, you know I had to make some Canseco cards for my collection as well. Though I’m a product of the 1980’s, I remember collecting these as a kid, and loved them. 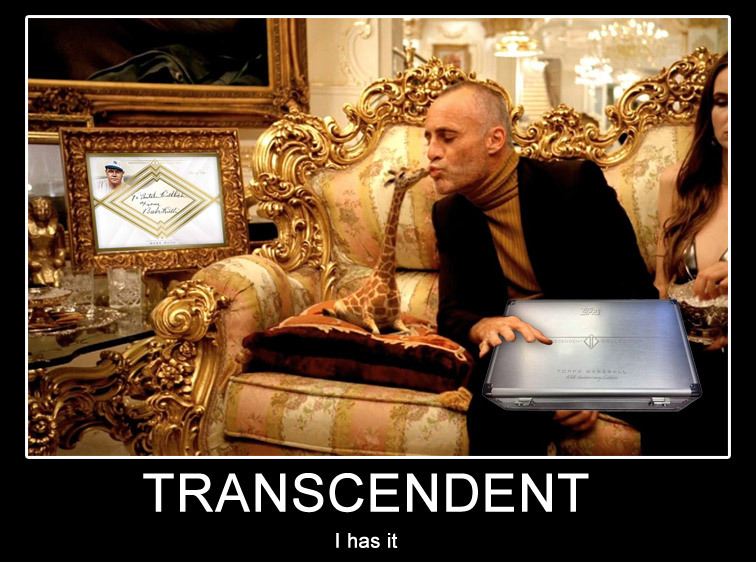 They were different, cool, and oozed antiquey-ness. I don’t recall ever getting one with the tab attached, because back in the 1950’s, everyone would cut them off and send them in to get red man baseball caps. 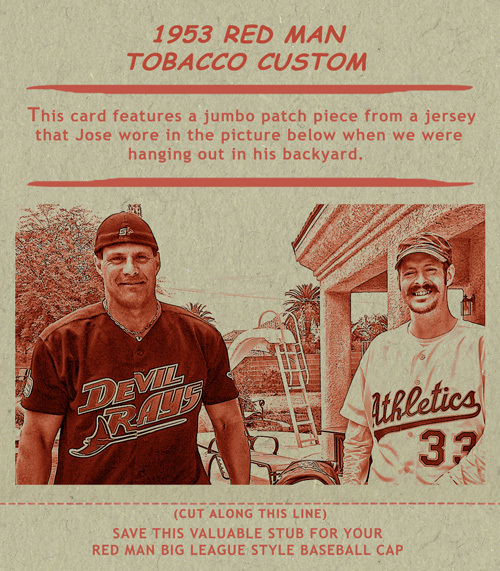 The back of each card suggested it would be a good idea for the dads to save up the tabs to send in and trade for a cap so their son could wear. How strange that they were advertising how a bunch of 5-15 year old boys should be wearing a tobacco advertisement, lol! I wanted to create one for my collection, but with a bit of a twist. 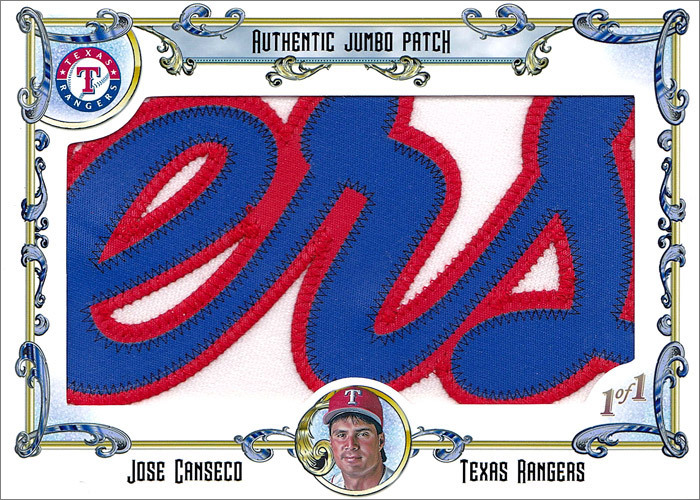 Instead of putting text on the front of the card, I wanted there to be a huge patch piece there instead. 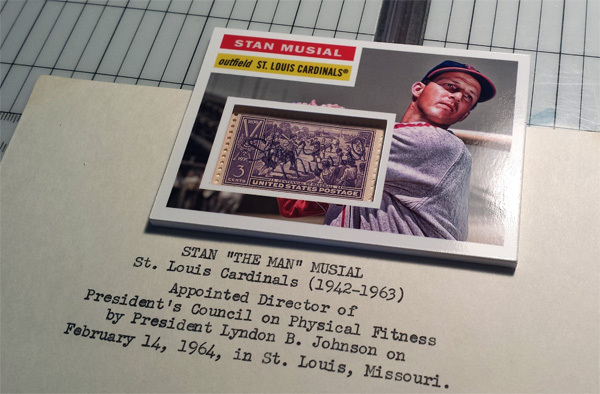 I had been on the hunt for a cool card type that could house a large patch, and with the Red Man measuring at 3.5″ x 4″ it was just what the doctor ordered. Creating this card was NOT an easy task, to say the least! It took hours for me to get the artwork just right. The Red Man cards look almost like paintings, so I had to make Jose look like a painting. Then after finally getting it how I wanted it, I had to deal with color schemes. Blue? Blue and pink? Blue and purple? See the difference in size between the Red Man and the custom 86 football on canvas I did earlier this month? Though I don’t have an adequate card holder for it, I’m very happy with how it came out, and am very glad to have it in my collection! I don’t think I could have asked for it to come out any better. It is rare for me to think this, because after hours of staring at the same design, I lose that lovin’ feeling fairly quickly. In all honesty though, with all of the customs I posted above, I’d have to say my absolute favorites are the two I just finished yesterday. 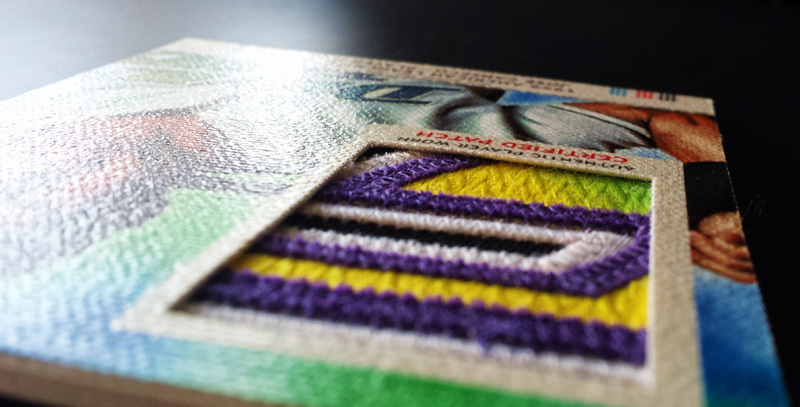 The wood triple threads card I did last month was something on my mind for quite a while. The Allen & Ginter cabinet relics have been on my mind for a long time as well. 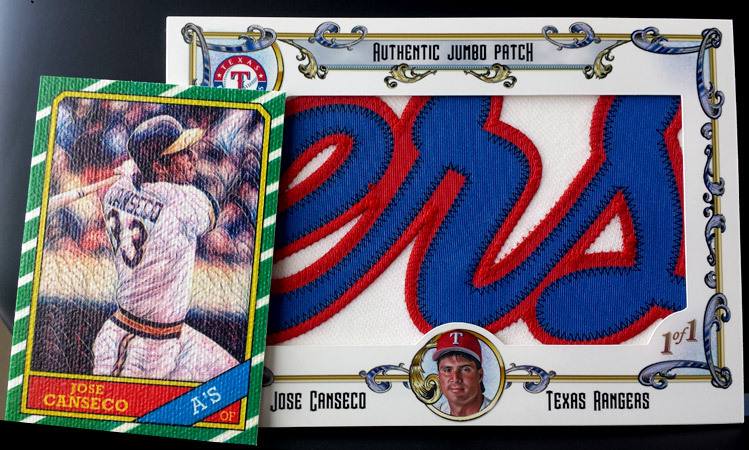 I finally decided to start searching for some artwork to work with so I could have my very own A&G style Canseco jumbo cabinet relic. As I was researching, I was brought to a forum from which I gathered the information I needed. I got a kick out of one of the comments, as I COMPLETELY had forgotten about it. Instead of using one of their existing designs, I decided to design my own. 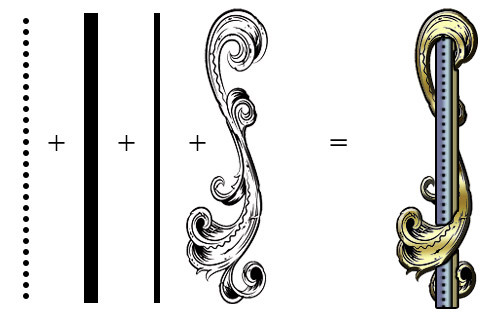 I designed a similar Victorian-era style theme, and you can tell my work is A&G influenced. This is probably the most intricate design work I’ve ever done on a card before. 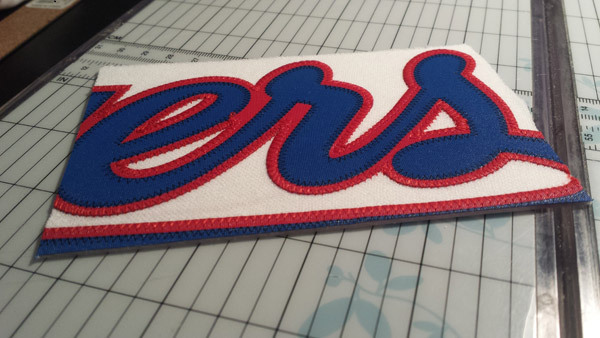 My first thought was to do a nameplate, so I tackled that. 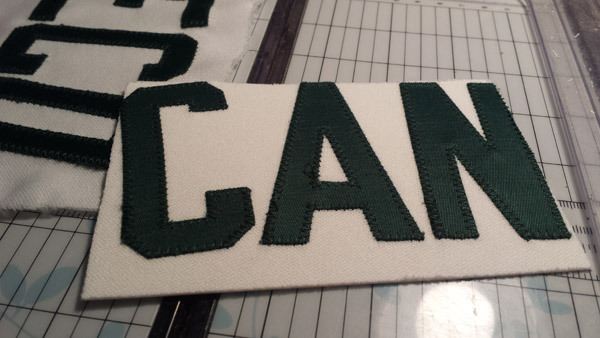 I have two player-worn A’s jerseys, and know that the material I have to work with for the A’s is going to be used up more quickly than the other teams he was on, but the nameplate looked best in this configuration. I cut out just enough to use for the card. 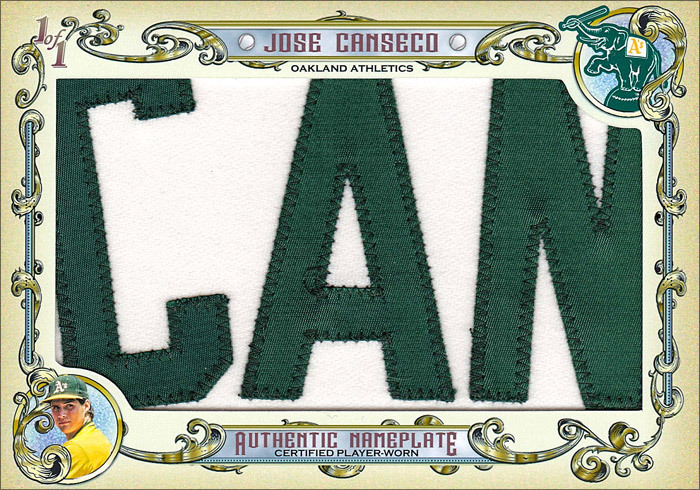 I probably would have stopped here, but I did a test to see how this card type would look with a part of the cursive team name, and in my opinion, it REALLY looked good. I didn’t want to use an A’s piece again though, and I didn’t want to use the exact same design either, so I designed something entirely different. To be honest with you, I’m not exactly sure which one I like best. I will say, however, that I *think* I may like these two cabinet size pieces more than anything else in my custom collection. Maybe it is just because they are the newest customs I’ve done, but that is where I’m at with them. Now, if I could just find properly sized holders! 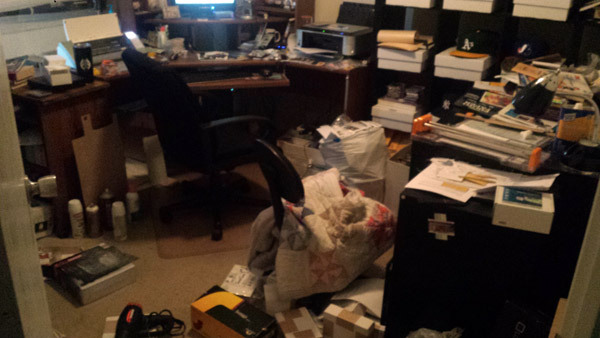 Cluttered? Perhaps, but clean nonetheless!